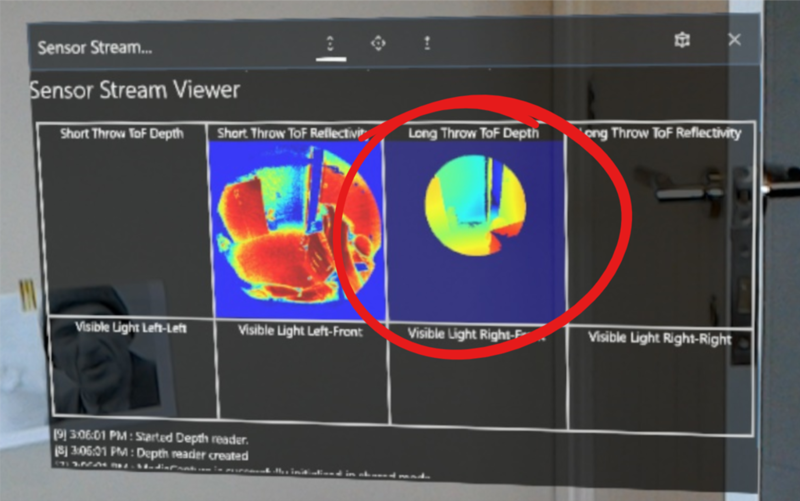 Following up on my previous post, I wanted to take the very basic test code that I’d got working ‘reasonably’ on UWP on my desktop PC and see if I could move it to HoloLens running inside of a Unity application. 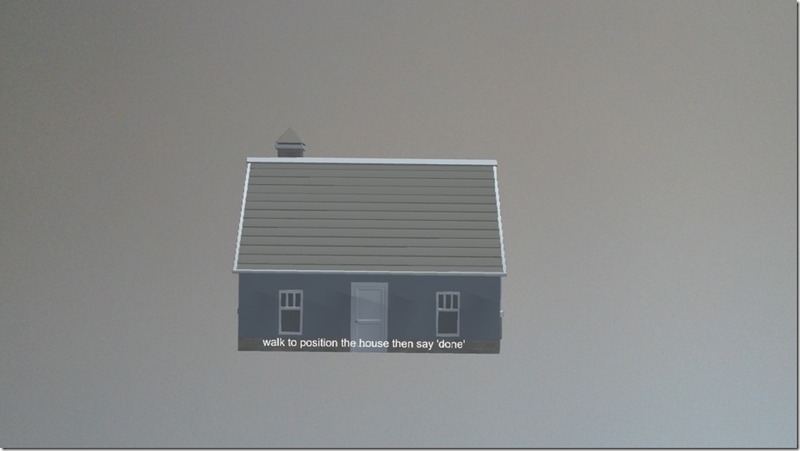 The app finds a peer on the signalling service and tries to get a two-way audio/video call going with that peer displaying local/remote video and capturing local audio while playing remote audio. 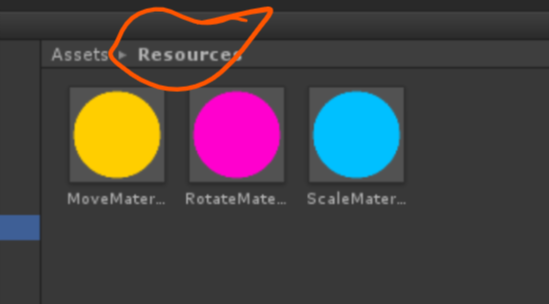 That’s what I currently have in the signalling branch here and the previous blog post was about abstracting some of that out such that I could use it in a different environment like Unity. and so I followed those instructions and built the code from that branch of that repo. From there, I’ve been working with my colleague Pete to put together some of those pieces with the pieces that I already had from the previous blog posts. 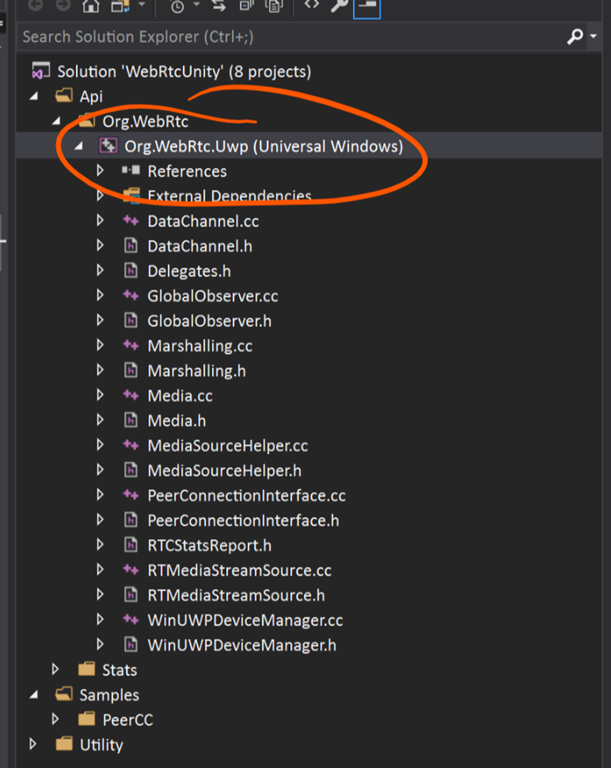 As is often the case, this process looks like it is going to involve standing on the shoulder of some other giants because there’s already code in the UWP webRTC repo that I pointed to above that shows how to put this type of app together. 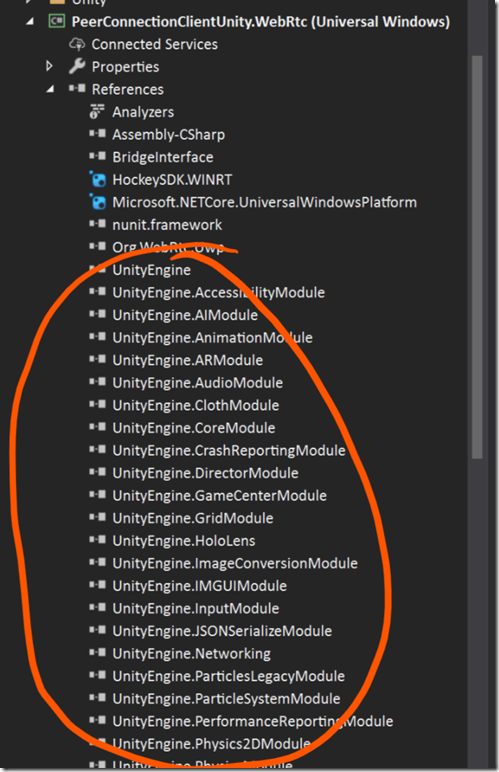 Using Unity rendering pieces which are then hosted inside of a SwapChainPanel inside of the XAML UI. This project was already present in the original XAML-based solution and in my mind this is involved with wrapping some C++/CX code around the webrtc.lib library in order to bring types into a UWP environment. I haven’t done a delta to try and see how much/little is different in this branch of this project over the original sample so there may be differences. 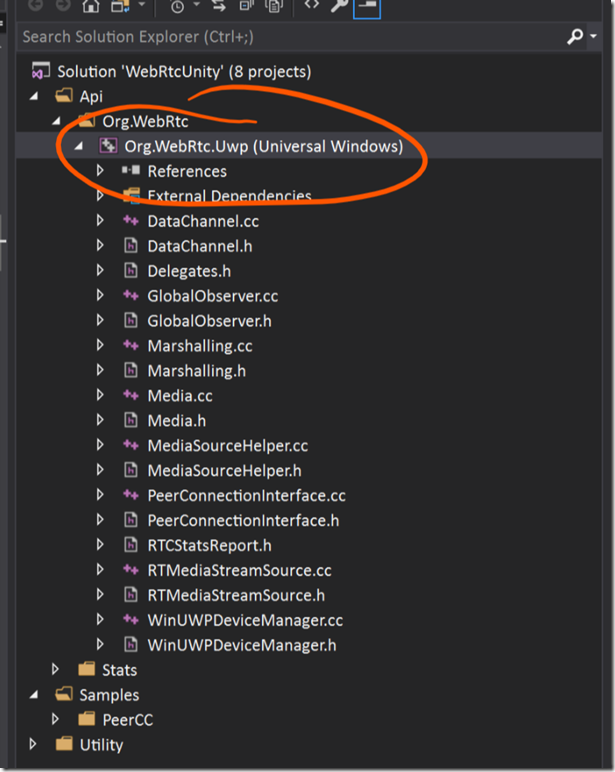 The existing work in the Org.WebRtc.Uwp project which integrates webRTC pieces into the Windows UWP media pipeline. 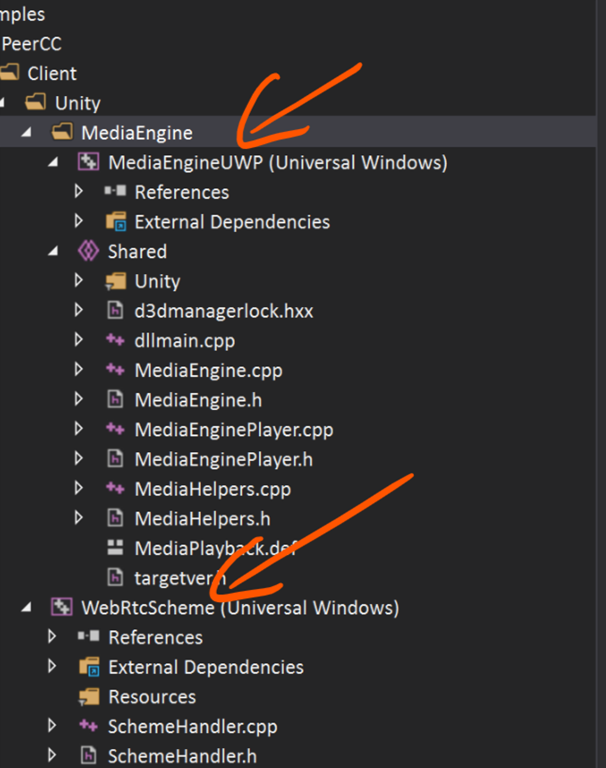 I think this is done by adding a webRTC VideoSinkInterface which then surfaces the webRTC pieces as the UWP IMediaSource and IMediaStreamSource types. 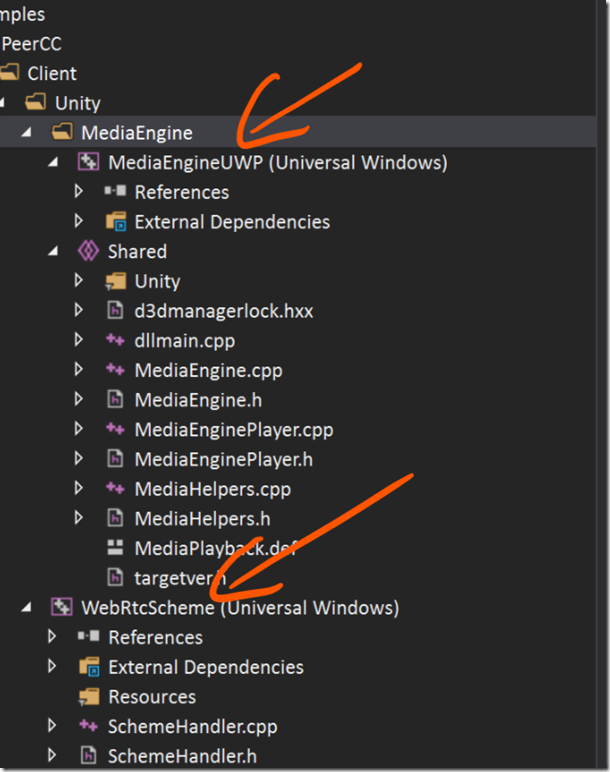 The MediaEngineUWP.dll having an export UnityPluginLoad function which grabs an IUnityGraphics and offers a number of other exports that can be called via PInvoke from Unity to set up the textures for local/remote video rendering of video frames in Unity by code inside of this DLL. 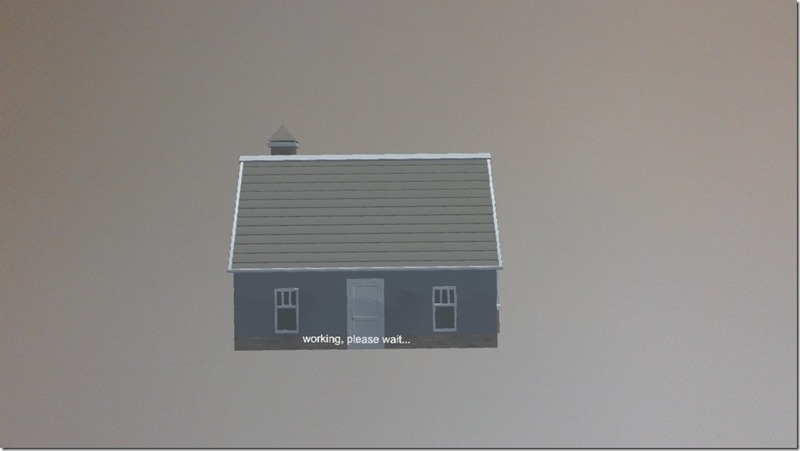 There’s a class in this project named MediaEnginePlayer which is instanced per video stream and which seems to do the work of grabbing frames from the incoming Windows media pipeline and transferring them into Unity textures. The same class looks to use the IMFMediaEngineNotify callback interface to be notified of state changes for the media stream and responds by playing/stopping etc. The wiring together of this MediaEnginePlayer into the media pipeline is a little opaque to me but I think that it follows what is documented here and under the topic Source Resolver here. 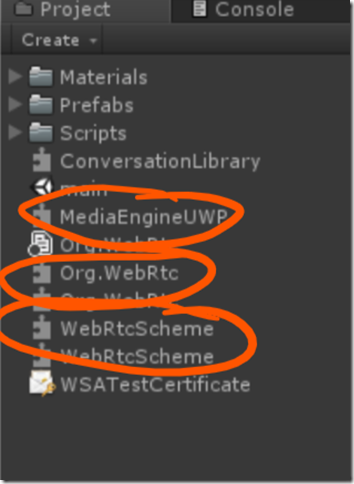 This seems to involve the code associating a URL (of form webrtc:GUID) with each IMediaStream and having an activatable class which the media pipeline then invokes with the URL to be linked up to the right instance of the player. That may be a ‘much less than perfect’ description of what goes on in these projects as I haven’t stepped through all of that code. 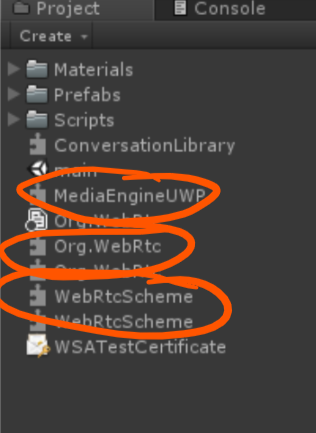 and so it’s essentially giving me the pieces that I need to wire up local/remote media streams coming from webRTC into the pieces that can render them in Unity. 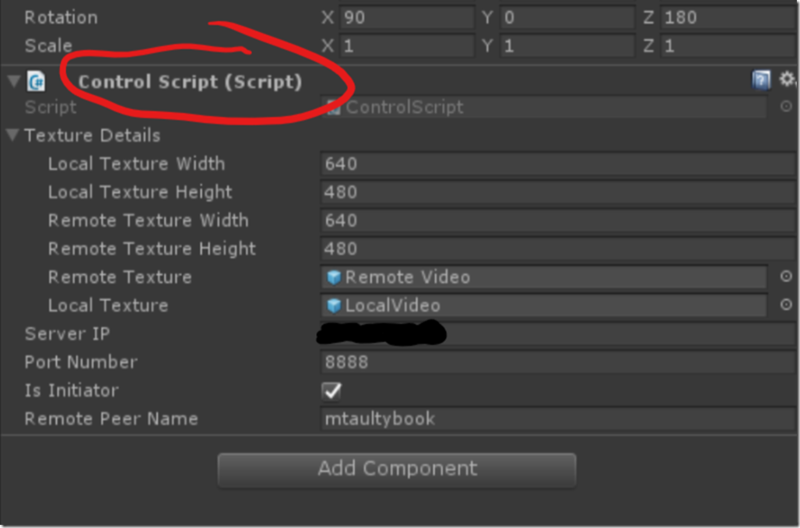 Pete put together a regular Unity project targeting UWP for HoloLens and in the scene at the moment we have only 2 quads that we try to render the local and remote video to. The signalling server IP address, port number, whether to initiate a conversation or not and, if so, whether there’s a particular peer name to initiate that conversation with. Set up some properties that will facilitate rendering of the video into the materials texturing the 2 quads in the scene. 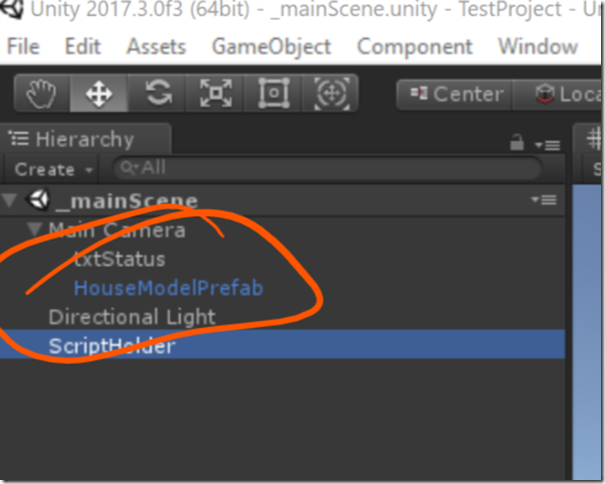 The GameObjects that we want to render our video streams to. Pete re-worked the original sample code to render to a texture of a material applied to a quad rather than the original rendering to a 2D RawImage. 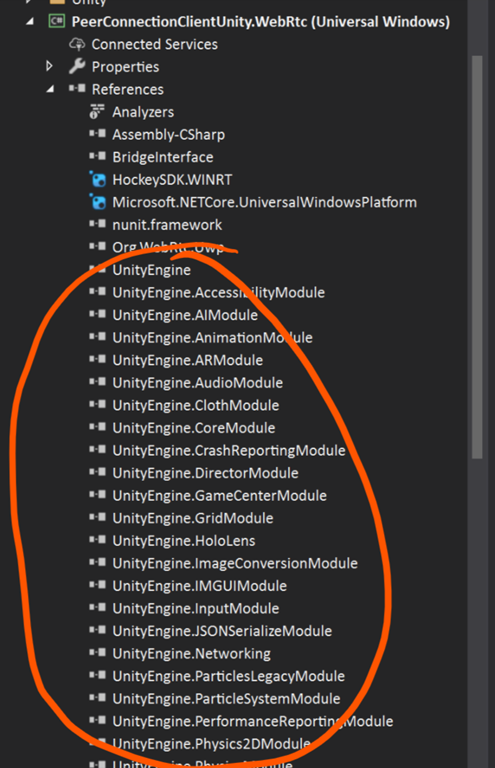 and the job then becomes one of adapting the code that I wrote in the previous blog post to suit the Unity environment which means being able to implement the IMediaManager interface that I came up with for Unity rather than for XAML. How to go about that? Firstly, We took those PInvoke signatures from the VideoControlSample and put them into a separate static class named Plugin. // The idea is that this constructor would be used by a real IoC container. // TODO: stop hardcoding I420?. // some piece of code that'll take some debugging. // TODO: switch audio back on, fix the crash. // TODO: is this ever getting called? // in so far as I can tell. Naturally, this is very “rough” code right now and there’s some hard-coding going on in there but it didn’t take too much effort to plug these pieces under that interface that I’d brought across from my original, minimal XAML-based project. Sort of Firstly, you might notice in the code above that audio is hard-coded to be switched off because we currently have a crash if we switch audio on and it’s some release of some smart pointer in the webRTC pieces that we haven’t yet tracked down. 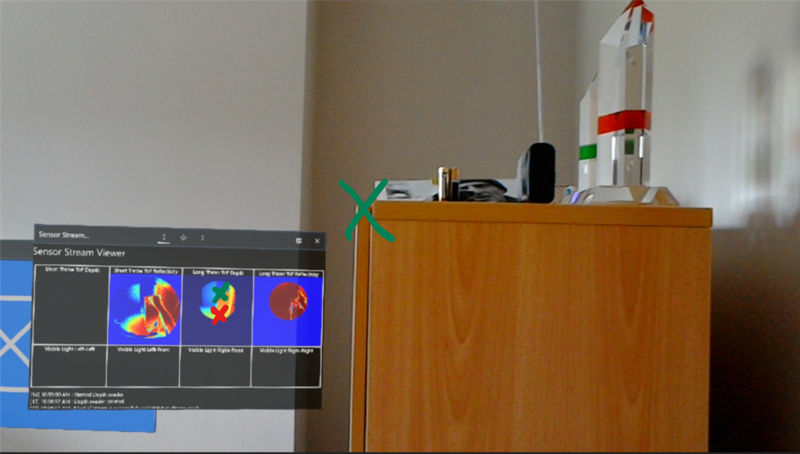 Minus audio, it’s possible to run the Unity app here on HoloLens and have it connect via the sample-provided signalling service to the original XAML-based PeerCC sample running (e.g.) 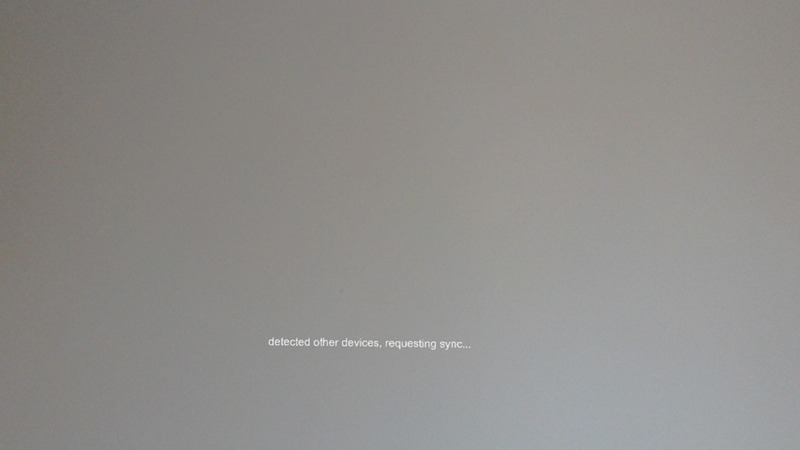 on my Surface Book and video streams flow and are visible in both directions. 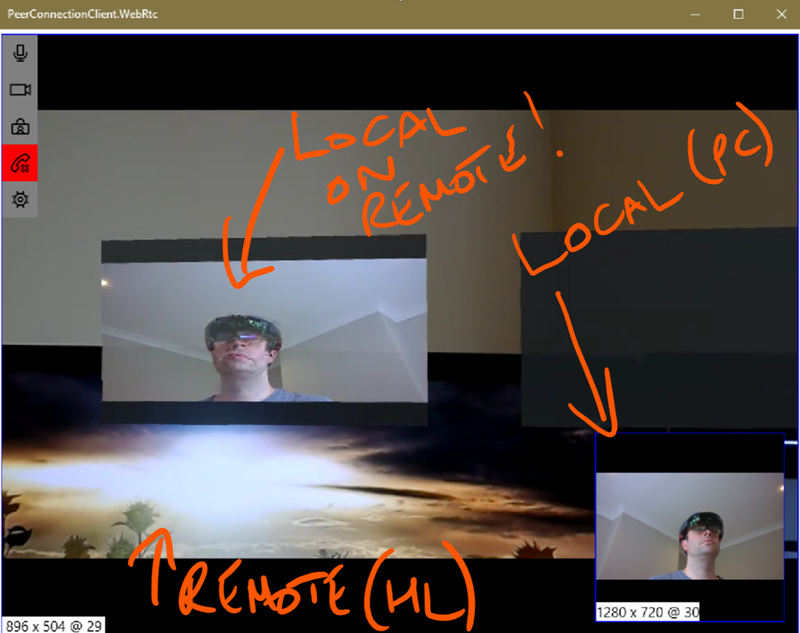 Bottom right is the local PC’s video stream off its webcam – me wearing a HoloLens. 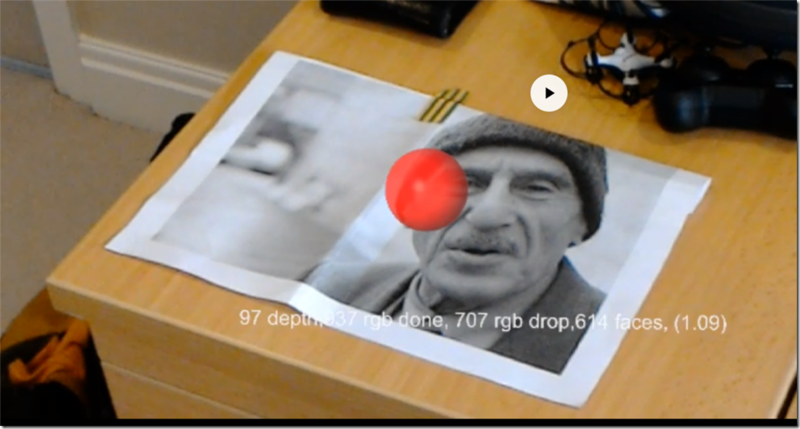 Upper left mid section is the remote video stream from the PC replayed on the HoloLens. Upper right mid section is the local HoloLens video stream replayed on the HoloLens which looked to disappear when I was taking this screenshot. You might see some numbers in there that suggest 30fps but I think that was a temporary thing and at the time of writing the performance so far is fairly bad but we’ve not had any look at what’s going on there just yet – this ‘play’ sample needs some more investigation. 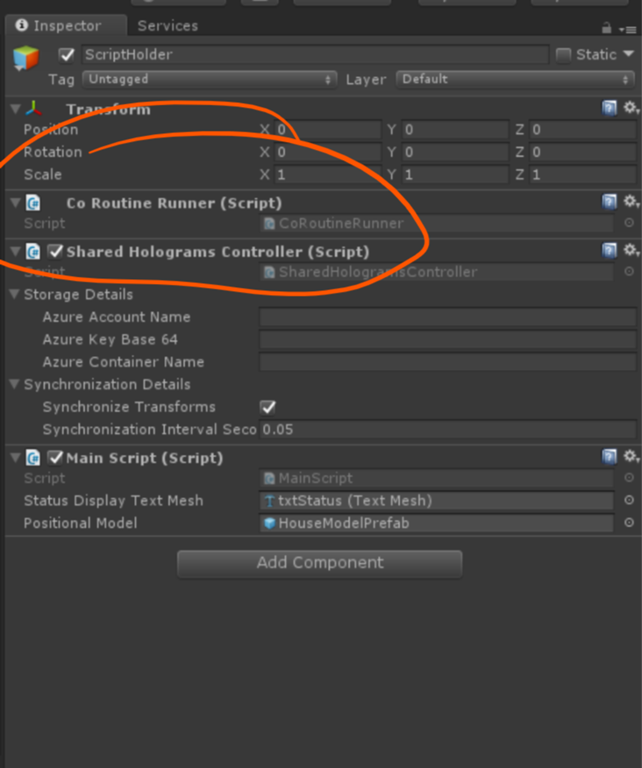 A follow-up to my previous post around experiments with shared holograms using Azure blob storage and UDP multicasting techniques. 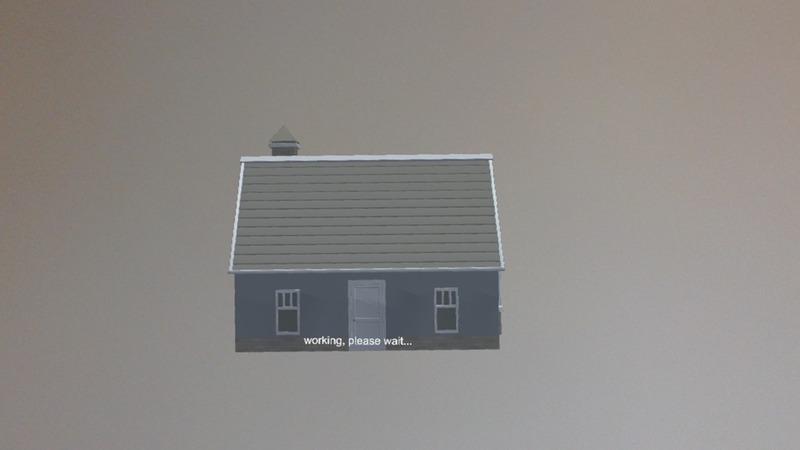 At the end of the previous post, I said that I might return and make a slightly better ‘test scene’ for the Unity project this post is my write up of my attempts to do that. 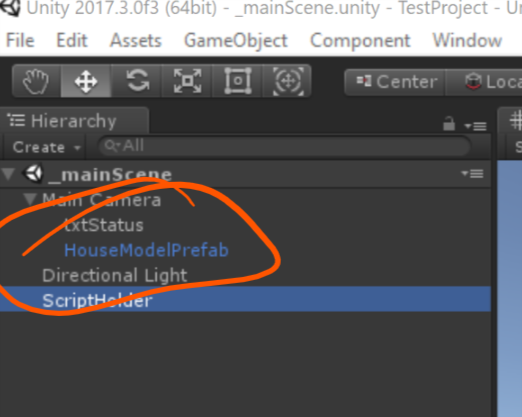 What’s in the New Test Scene? and I made the test scene about visualising that model in a consistent place on multiple devices with the ability to rotate, scale and move it such that the multiple devices keep a consistent view. The app runs and waits for the underlying library to tell it whether there are already other devices on the same network or not. 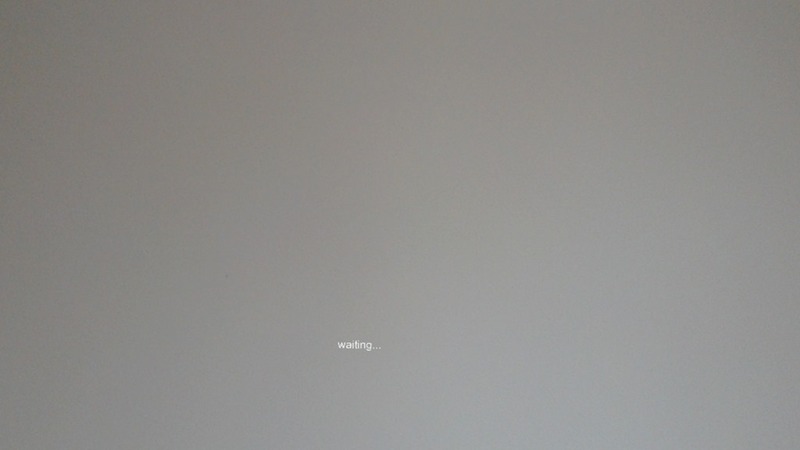 During this period, it displays a ‘waiting screen’ for up to 5 seconds if it doesn’t receive notification that there are other devices on the network. 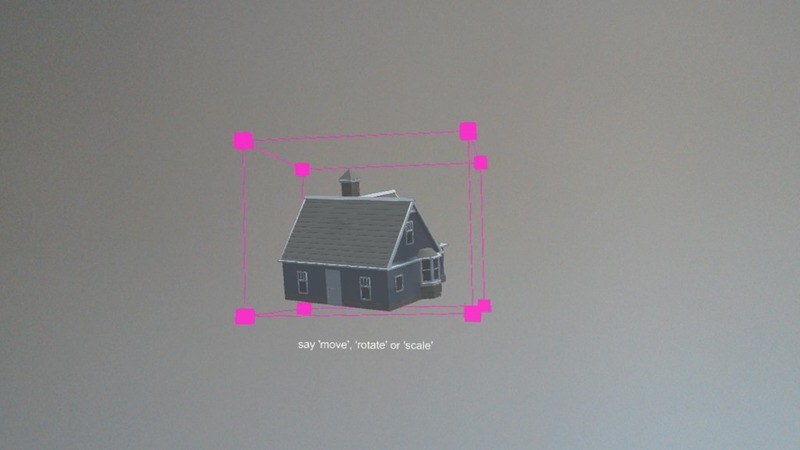 If the app determines that no-other devices are on the network then it pops up a model of a house gaze-locked to the device so that the user can potentially move it around and say ‘done’ to place it. 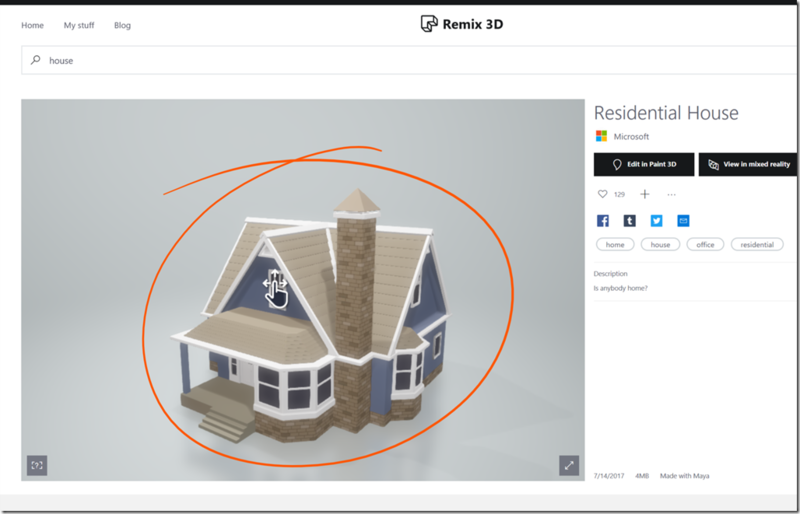 Once positioned, the app replaces the model displayed by using the APIs detailed in the previous posts to create a shared hologram which is exactly the same as the house and in the same position etc. At this point, its creation will be multicast around the network and the blob representing its world anchor will be uploaded to Azure. and it will stop the user from positioning the model while waiting to bring the position data (world anchor) from Azure. The same thing should happen in the race condition where multiple users start the app at the same time and then one of them becomes the first to actually position the model. those transformations are then multicast to other devices on the network such that they all display the same model of a house in the same place. How’s the Test Scene Structured? I already had a test scene within the Unity project that I’d published to github and so I just altered it rather than starting from scratch. I’ve ommitted the details of my own Azure configuration so that would need to be filled in to specify the storage details and I’ve also told the script that I want to synchronise transforms on a fairly high frequency which, realistically, I think I could drop down a little. // house in my version). // componentry to do it for us. // Sorry, only know about "house" right now. // we ended up just with "Done" here. // We need to know when various things happen with the shared holograms controller. // Wait to see whether we should make the positional model active or not. // Get rid of the placeholder. // Create the shared hologram in the same place as the placeholder. // Are there other devices around or are we starting alone? // Wait for the 'done' keyword. // turn off the model. // Make sure we can manipulate what the other user has placed. Fire an event when the device joins the network such that code can be notified of whether the messaging layer has seen other devices on the network or not. 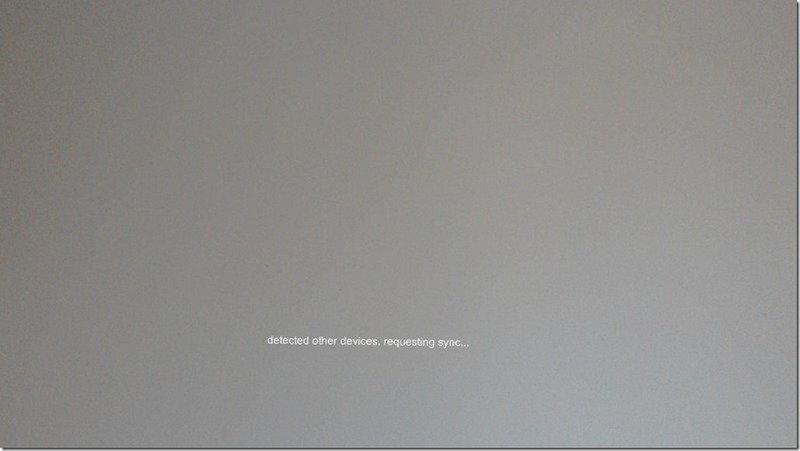 Fire events when other devices on the network create/delete holograms causing them to be imported and created by the local device. 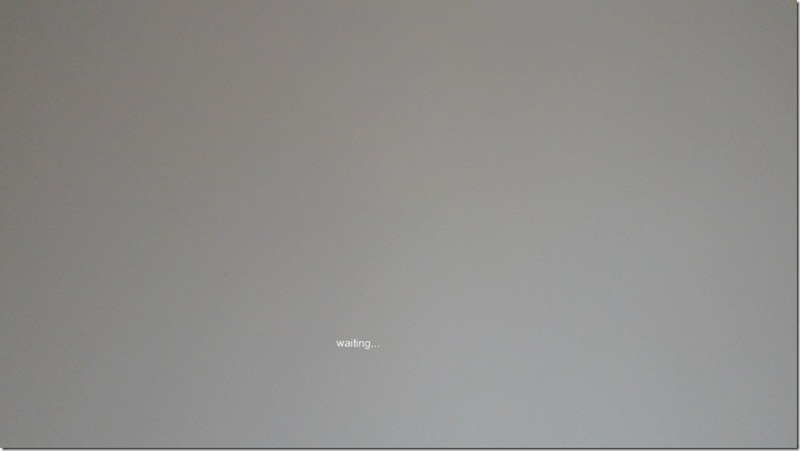 Fire an event as/when the underlying code is ‘busy’ doing some downloading or uploading or similar. Having tried to implement this scene it was immediately obvious to me that this was needed but it wasn’t so obvious to me that I implemented those pieces beforehand and so that was a useful output of writing this test scene. The other thing that’s used in the scene is a MonoBehaviour named Manipulations. 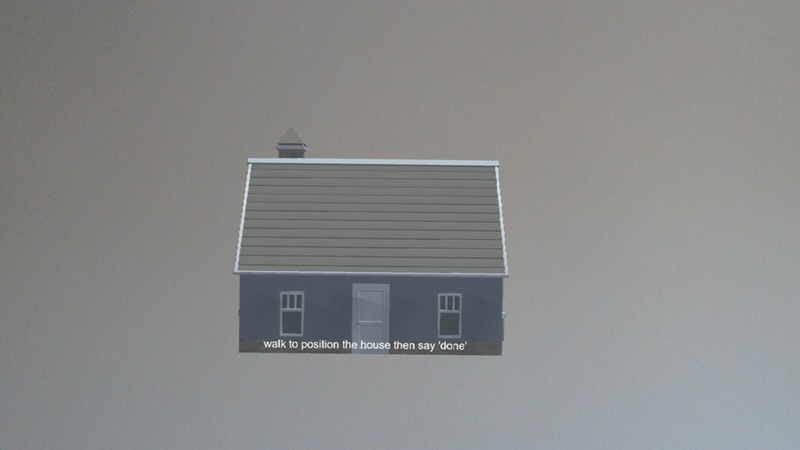 This is a version of a script that I’ve used in a few places in the past and it’s a very cheap and cheerful way to provide rotate/scale/move behaviour on a focused object in response to voice commands and hand manipulations. 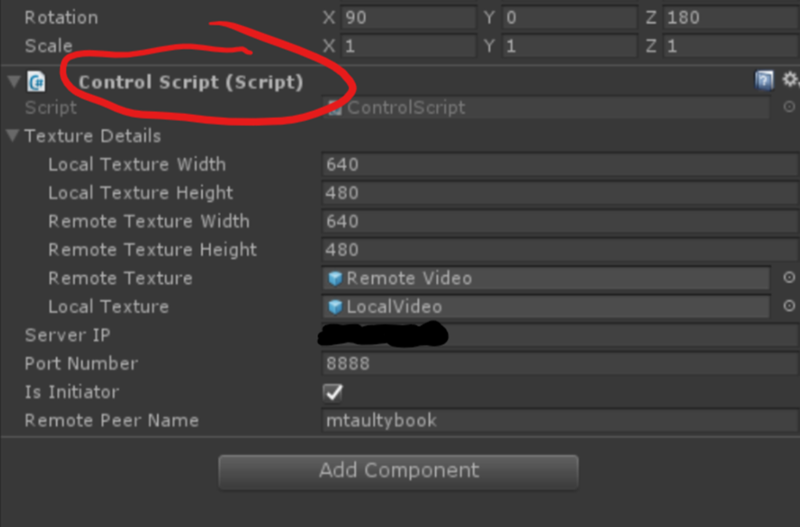 One thing that I’d note is that when I’d used this Manipulations scripts before it was always in projects that were making use of the Mixed Reality Toolkit for Unity and, consequently, I had written the code to depend on some items of the toolkit – specifically around the IManipulationHandler interface and the IInputClickHandler interface. I don’t currently have any use of the toolkit in this test project and it felt like massive overkill to add it just to enable this one script and so I reworked the script to move it away from having a dependency on the toolkit and I was very pleased to find that this was only a small piece of work – i.e. the toolkit had mostly done a bit of wrapping on the raw Unity APIs and so it wasn’t difficult to unpick that dependency here. The code is all up on github should anyone want to explore it, try it, take some pieces for their own means. I’m always open to feedback so feel free to do that if you want to drop me a line and be aware that I’ve only tested this code in a limited way as I wrote it all on a single HoloLens device using the (supplied) test programs to simulate responses from a second device but I’m ‘reasonably’ happy that it’s doing sensible things.